CLICK HERE TO LEARN CHESS FAST! Here's a simple, inexpensive, entertaining way to celebrate Fathers Day, or just to play chess. Print as many of these as you like from the comfort of your home computer. 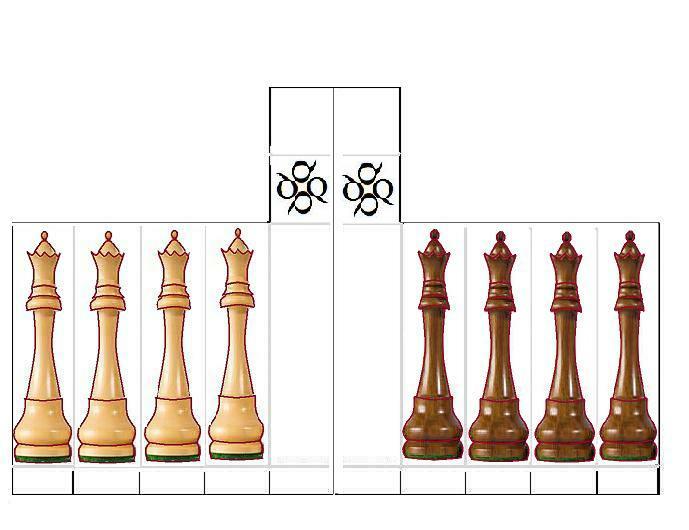 This chess set is designed exclusively for visitors to prntr.com for your unlimited personal use. 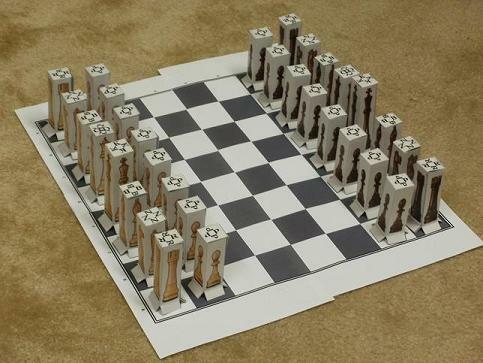 This unique paper set design features full sized, easily weighted, three-dimensional chess pieces, as well as a chess board featuring algebraic notation for recording your games. 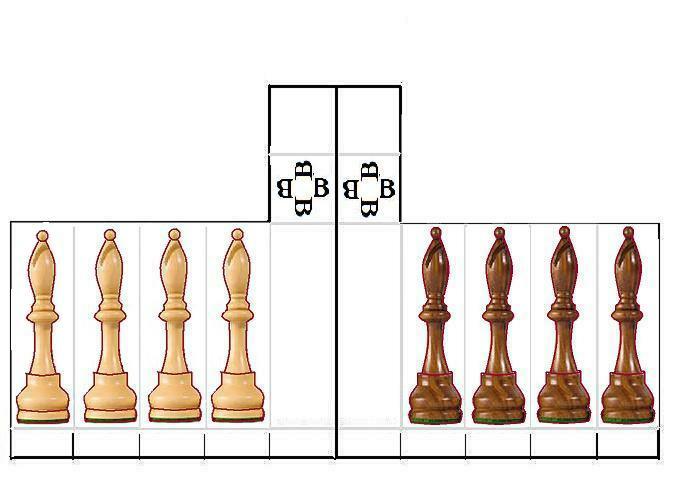 This chess set has built-in instructional value, as the pieces are specially designed to be clearly visible from all angles. The written symbol for each piece is printed on the top. 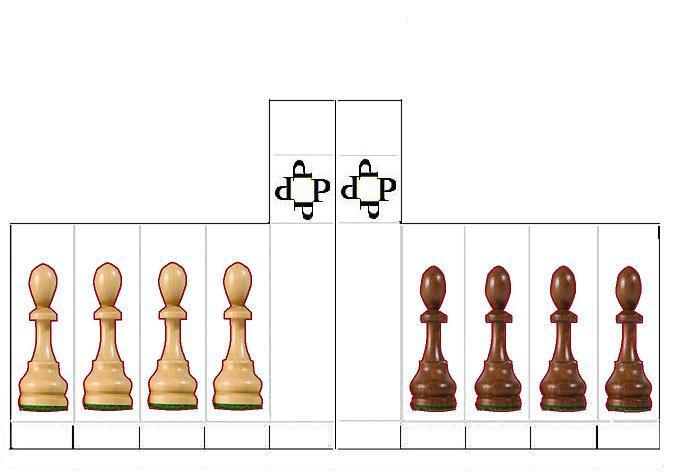 The pieces are of different heights to indicate their relative values. To use this material, simply print out the pages shown below on stiff printer paper. Right click on each image, and select a SAVE option from your drop-down menu. This will save the images to your picture file. From there you can reduce it, enlarge it, and/or set the margins as needed before printing. Again, stiff paper is recommended. Print out each of the pages shown below. 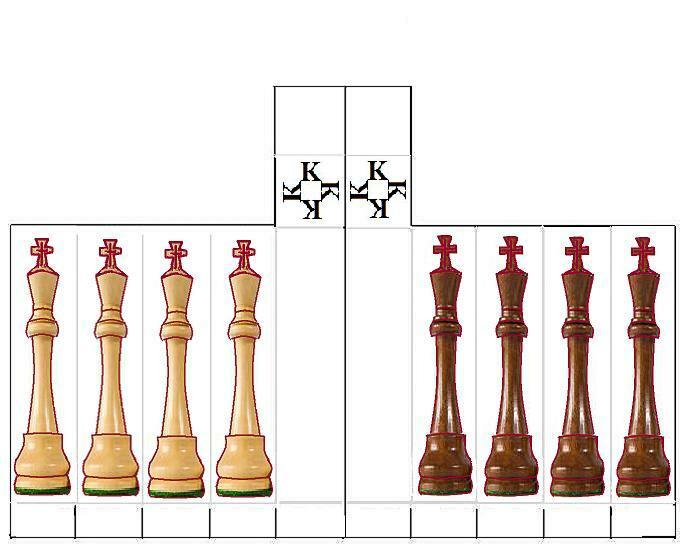 You will need one copy of the King and Queen, two copies of the Rooks, Knights, and Bishops, and 8 copies of the pawns. FOLD the paper along the LIGHTER lines, and CUT the paper along the DARKER lines. Assemble the pieces as shown in the photo, using scotch tape as needed. Assembly is fairly self-explanatory and usually takes less than one hour. Use the above photo as a guide. The game we call Chess was invented about 1,500 years ago. 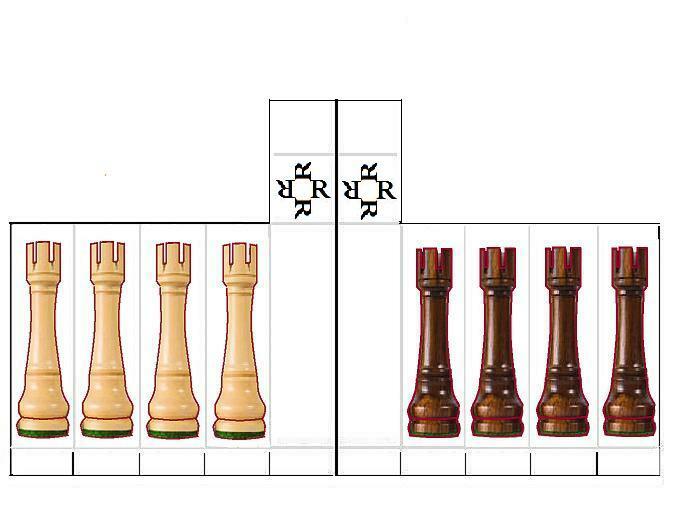 Chess is a derivative of an earlier game from India called Chaturanga. 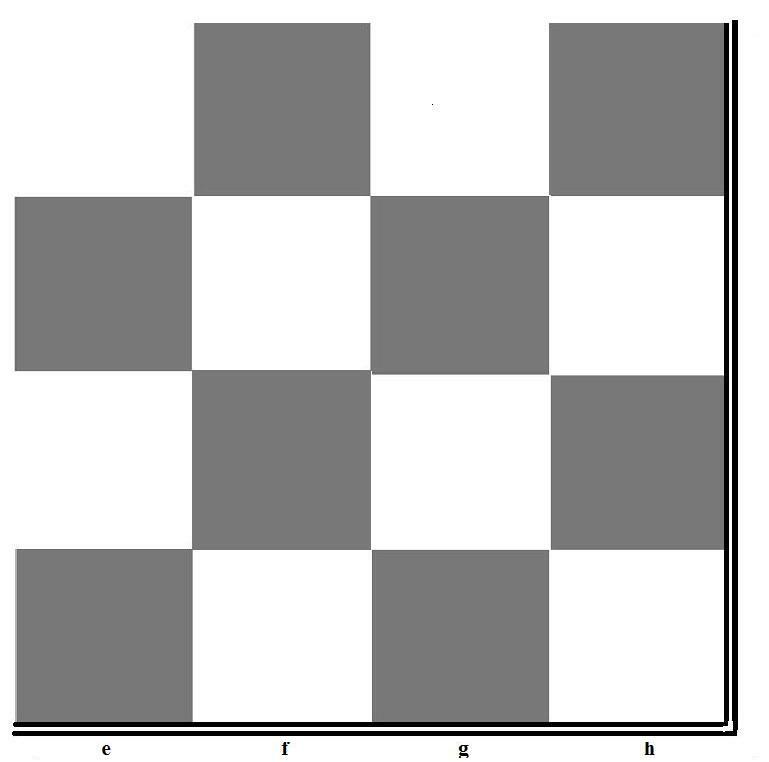 There are more possible unique chess games than the number of electrons in the universe. 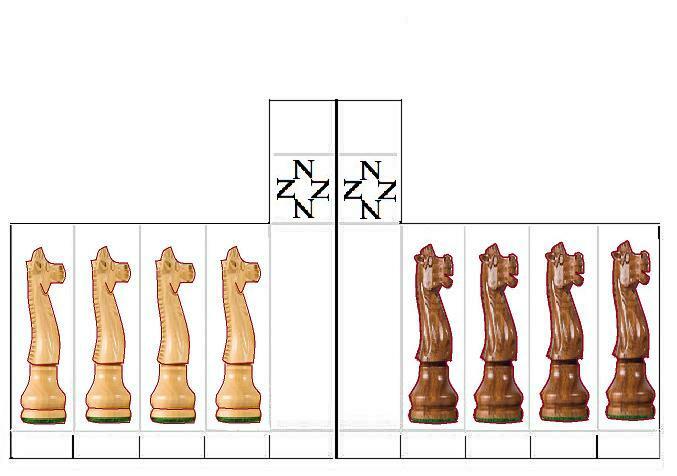 There are 400 different ways for both players to make their very first move. 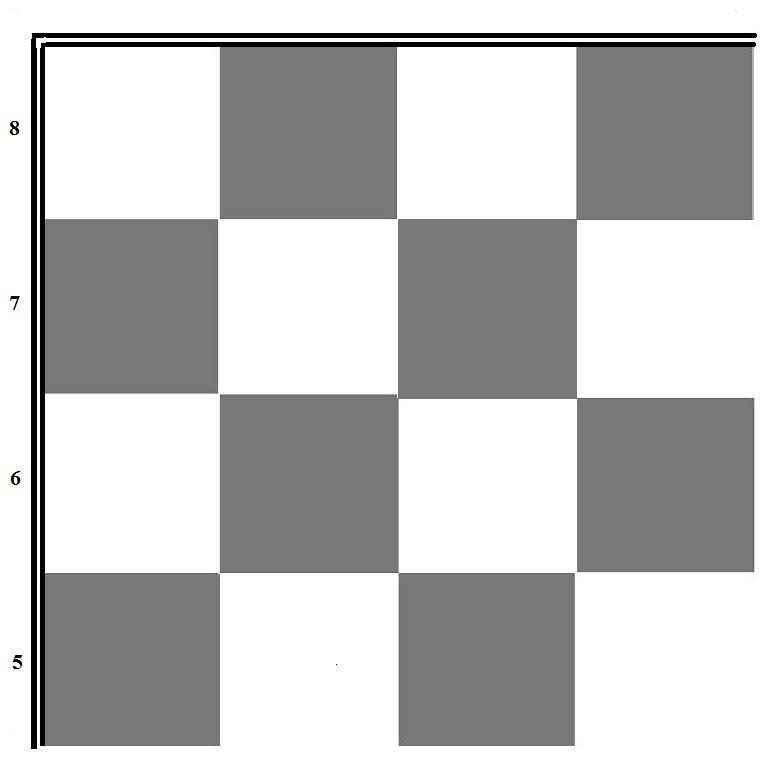 The quickest possible checkmate is called the Fool's mate, also known as the two-move checkmate. 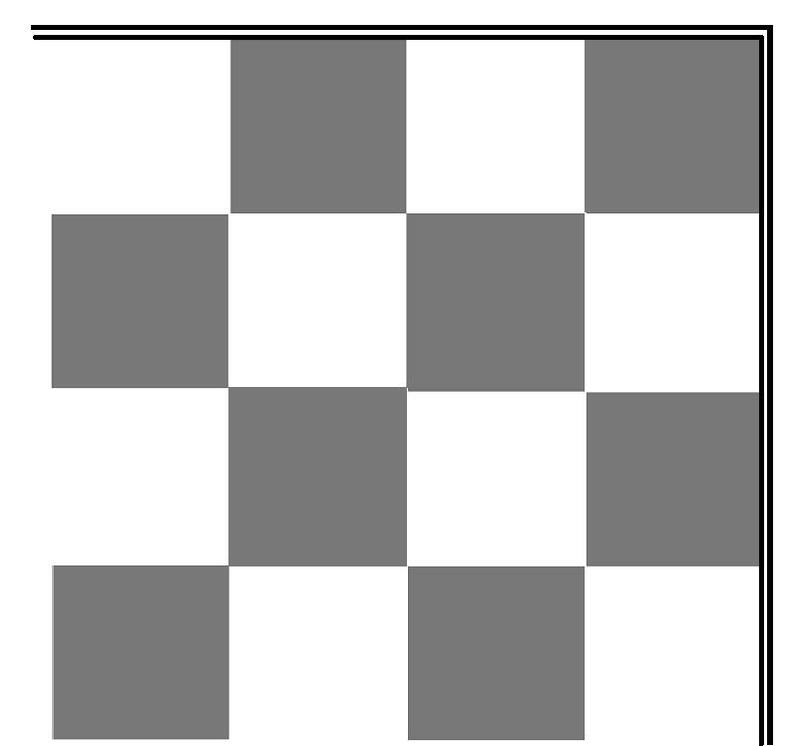 The longest game of chess ever played (under modern time rules) was a 269-move draw that lasted 20 hours and 15 minutes, played in 1989. Bobby Fischer, Bruce Pandolfini, Barbara Streisand, and Neil Diamond all went to Erasmus High School in Brooklyn, New York. 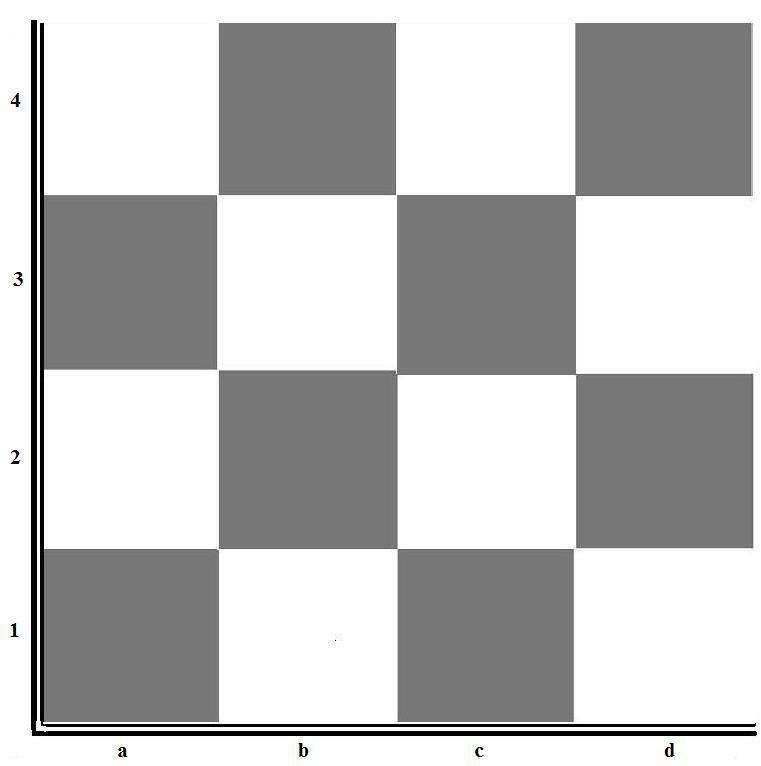 On an infinite chessboard, a knight could never get from one corner to the opposite corner, but a Bishop could do it in a single move. TO LEARN CHESS FAST, EASY, AND WELL, GET PORTABLE CHESS COACH by Judee Shipman, available in stores and on Amazon. HIGHLY recommended!